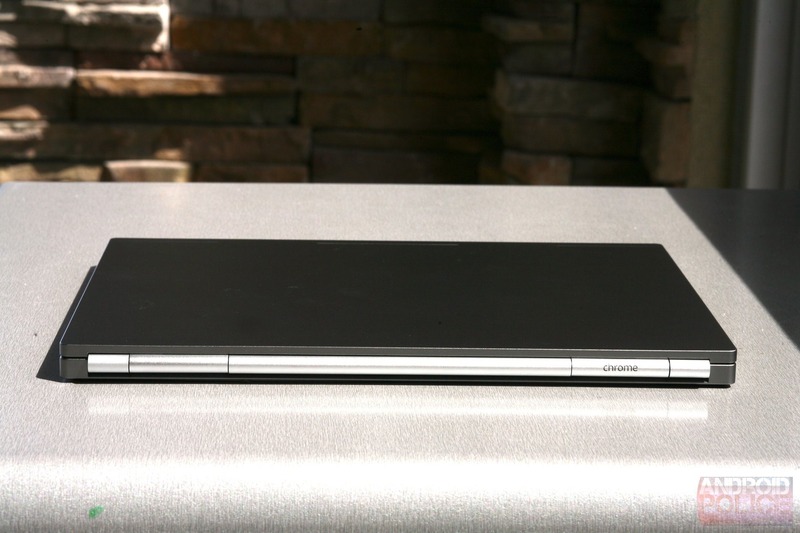 Yeah, we know – it doesn't run Android, and really, it has nothing to do with Android. But it is a Google product, so by default it's at least tangentially related - call it Android's cousin. It's also Google's statement that ChromeOS is important, that it's not just some side project. It's saying that we should all pay attention. 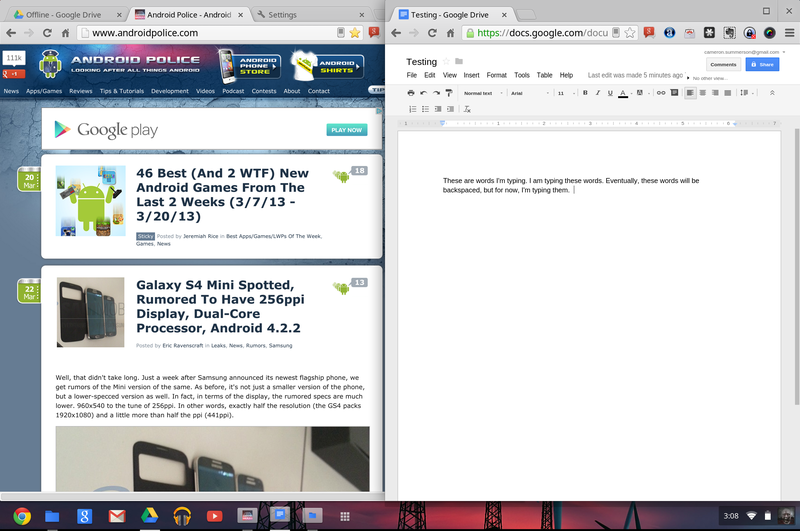 That ChromeOS is the real deal, and the Chromebook Pixel is the best experience that ChromeOS has to offer. And what an experience it is. 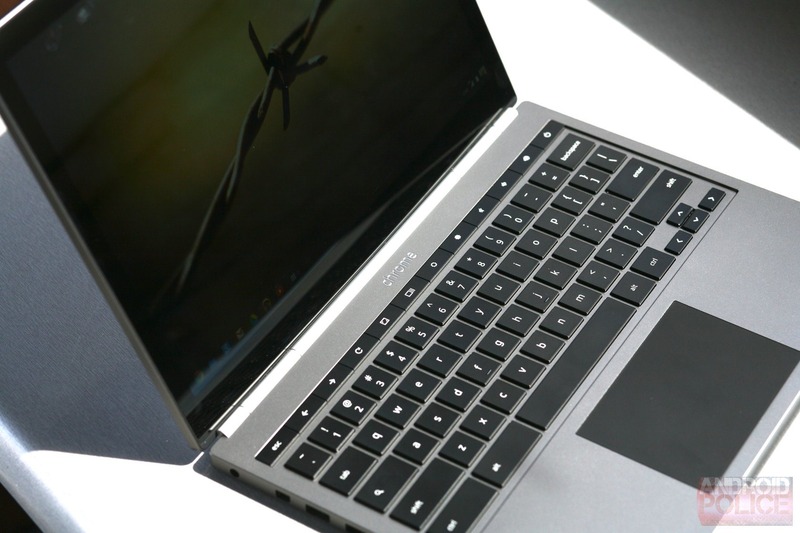 This isn’t your run-of-the-mill, $250 Chromebook. 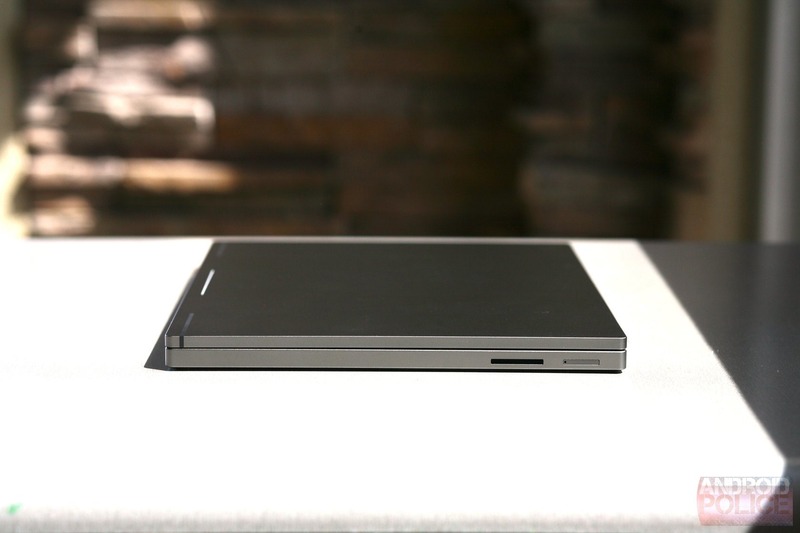 Far from it, in fact – the Pixel is jam-packed with some of the best hardware on the market (rivaling most Ultrabooks), and has the most beautiful display I’ve ever laid eyes on. Of course, you don’t pack 4,352,000 pixels into a 12.85-inch touchscreen and not expect people to say it's the most beautiful display they've ever seen. Still, it's absolutely stunning. But we'll get into that later. The real question on everyone's mind is: is it worth $1300 (or more)? The answer I'll give right now isn’t the answer you're going to want, but it's hard to be polarized in one direction with a piece of hardware such as the Pixel. That answer is, of course, it depends. "Oh, c'mon," I can hear you say. 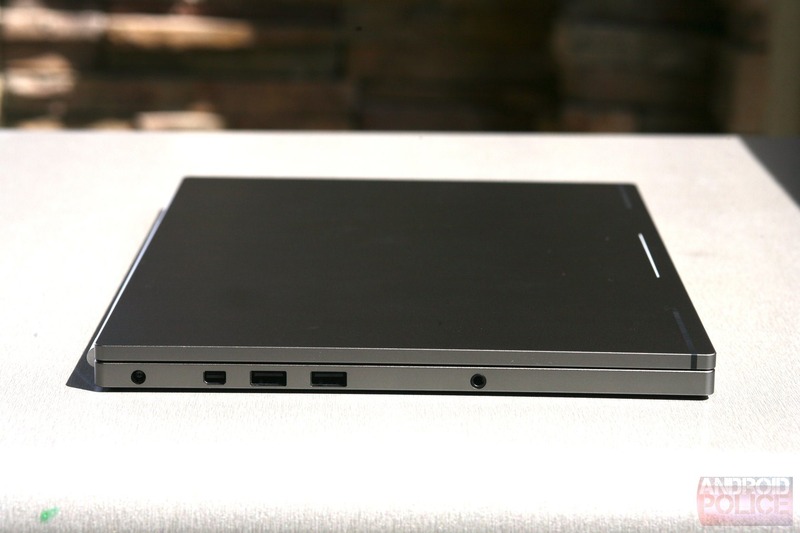 You really want to know if a Chromebook can be worth $1300+ – and I really want to answer that. The problem is, a simple, firm "yes" or "no" won't work here. There are a lot of things to consider. I'm going to do my best to cover all the bases in this review. 297.7mm x 224.6mm x 16.2mm, 3.35 lbs. The Display. It's hard to say how many times I'll bring up how great the display is on the Pixel, as it's definitely the standout feature. It's simply amazing – color reproduction is fantastic, and there isn't a single discernable pixel on the screen. Anywhere. 239PPI is quite becoming on a laptop, and it makes it feel larger than 12.85 inches. The only downside is that it's super glossy. Outstanding build quality. When it comes to fit and finish on laptops, it's hard to deny that Apple has set the bar. 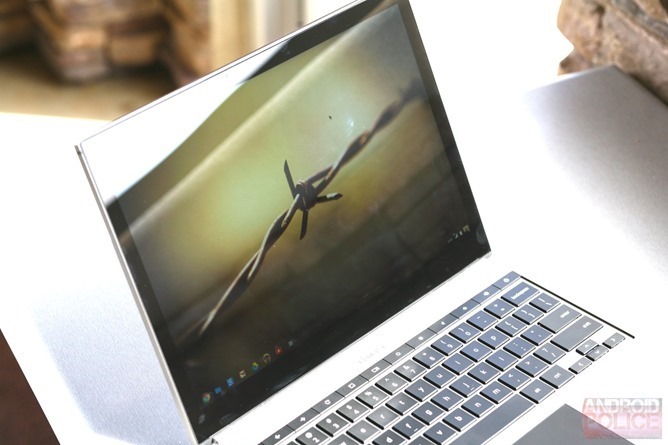 Some of Samsung's more recent laptops – like the Series 7 Chronos and Series 9 Ultrabook – have proven to be superior in the Windows world, but Google has put out something absolutely breath-taking with the Chromebook Pixel. Everything about it just screams high-end – it's one of the sleekest, most beautiful pieces of hardware I've ever seen. It's gorgeous. 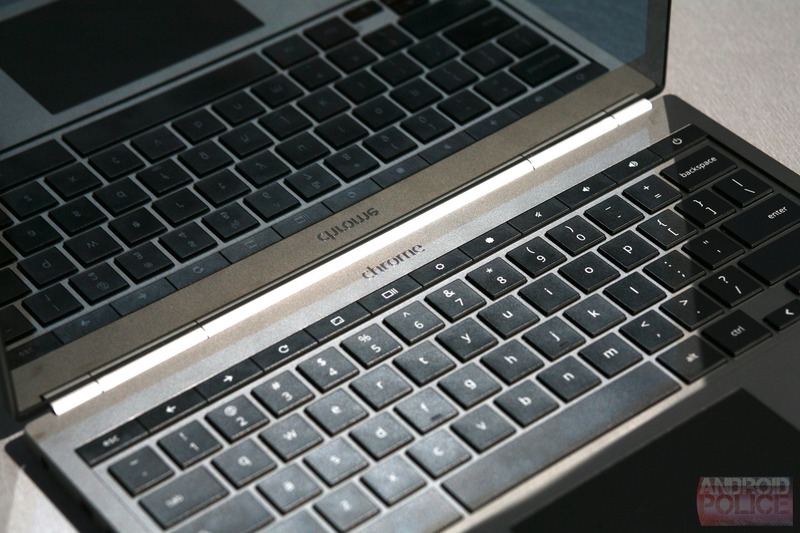 The Keyboard and trackpad. This kind of falls into the "build quality" point above, but they're both so good they deserve to be mentioned independently. Both the keyboard and trackpad are easily the nicest I've ever used on a laptop, and I don't say this lightly. 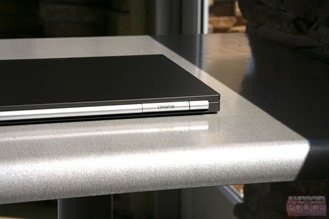 Come to think of it, I've never used a trackpad I liked. So the Pixel is a first in that respect. Good on ya, Google! Good speakers. Despite being super sleek and having no speaker openings (they're under the keyboard), the Pixel can produce some good sound. ChromeOS. The OS is great because it's simple, fast, and familiar (for anyone who uses Chrome on other platforms, of course). It's functional enough for the "average" computer user – like my mom or dad, for example – yet still fully featured enough for someone more tech savvy. Of course, since it's basically just a web browser, it's also not nearly powerful enough for the most advanced users. More on that below. The charger is small. This may not seem like a big deal, but I love how small the charger is. I really hate the charger for my Windows laptop, as it just takes up too much space in my bag. The Pixel's charger, however, quite a bit smaller – and it doesn't have an in-line power brick. Everything's in the plug. ChromeOS. Oh, the double-edged sword shows itself. 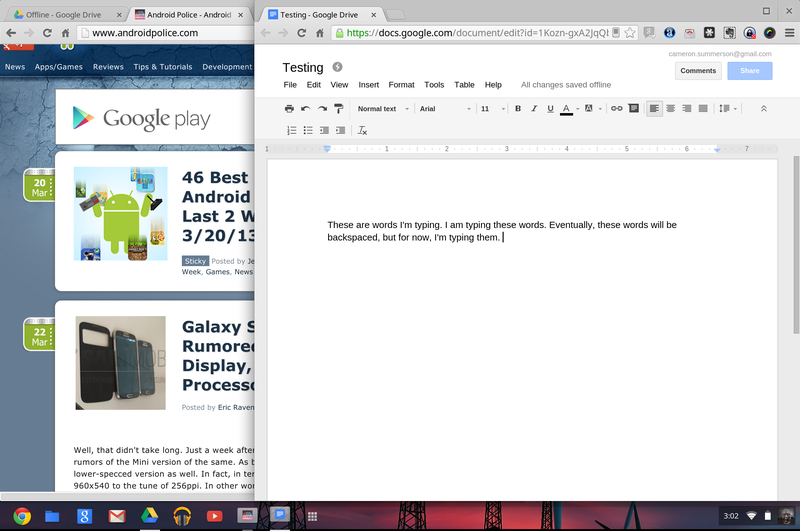 As much as I love ChromeOS – and I really do enjoy using it – it's simply not versatile enough. And that rule doesn't just apply to me – any power user out there will agree. Gamer? ChromeOS is a no go. Use proprietary software on OSX, Windows, or Linux? Out of luck. And that makes me sad. I want to live in a world where an OS like Chrome OS is a valid desktop replacement. That world is definitely not yet a reality for most. Tabs/Windows constantly reload. I have no idea if this is a bug (it definitely is on Android), a "feature," or something different, but nearly every time I navigate back to a tab – even one that I just visited 30 seconds before – it reloads. It's a downright maddening experience, as most pages aren't something that need to be automatically updated every single time you click the tab. I had this problem on nearly every site that I visited – even Gmail and Drive. It was infuriating, and hopefully Google will fix this in the future. Battery Life. This is one area where I simply cannot be forgiving. Bottom line, I expect more battery life out of Chromebook than I do a traditional Windows laptop. I realize that the cost of having such a beautiful display is battery life, but with only about 4.5 hours of use, bringing the charger everywhere you go is a requisite. I don't even need to do that with my Samsung Series 7, as it gets roughly 7 hours of battery life. Nearly 2.5 hours more than the Chromebook, and it has more power under the hood to boot. Like I said, the display is definitely the battery sucker here, but I really wish Google would've stepped up in the battery department and delivered at least a solid eight hours before hitting the outlet was necessary. It gets hot. There are no fans to speak of (at least I can't hear them), so when running multiple "apps" at once – several browser tabs, Google Music, and TweetDeck, for example – the unit I tested got quite warm. Not holy crap my legs are on fire hot, but definitely warm enough, and much hotter than I expected. It's not a deal-breaker, but it did come as a shock to me. With all the most obvious pros and cons out of the way, let's talk about the Pixel from a purely practical usability standpoint. Right out of the gate, I want to say that I love using this computer. When it comes to doing simple browser-based tasks, writing documents, editing spreadsheets, watching videos, and the like, I find it an absolute joy to use. When going to kick back on the couch for a while and not do any actual work (aside from writing this review, perhaps), I would reach for the Pixel 100 percent of the time. It's fast, light, and usable enough to get the job done. Don't get me wrong here – it's not impossible to work from the Pixel. Google Drive is a very usable, fantastic office suite (actually, it's my primary office suite even on my Windows computers), and there are many web apps that can [almost] take the place of desktop software you may be used to using. For example, for light photo editing, there's Pixlr Editor. And if you're used to using Tweetdeck on the desktop, the Chrome version is actually more full-featured than its Windows counterpart. Hell, there's even a workaround to get the Spotify web app working right out of the gate. 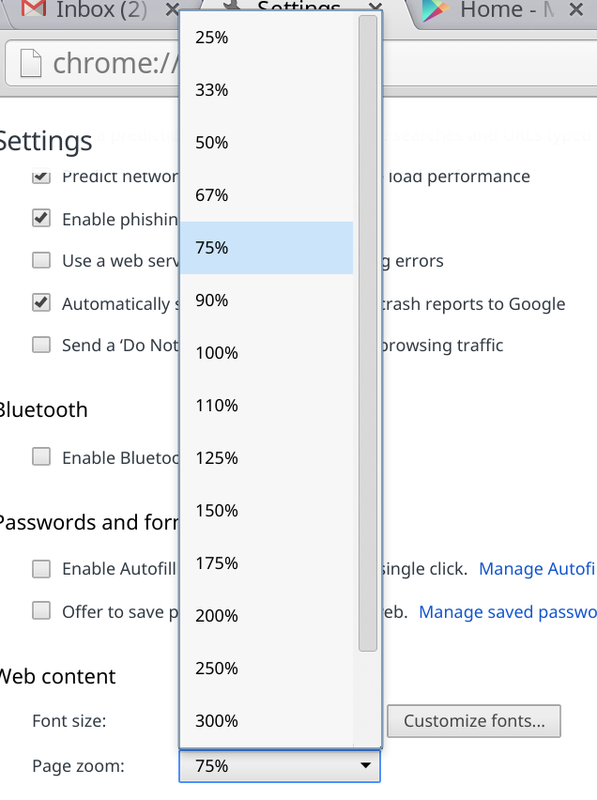 So, no, Chrome OS isn't "useless" – and it's actually quite nice if you spend enough time tweaking it and finding the right web app to meet your needs. But then there's the other side of this story. The part where something more is needed – I my case, if I needed to post something to the site or do anything else that required aside from just a browser. For those moments, I had two options: dig through the Chrome Store and find something that could replace whatever software I needed from my Windows PC – which simply isn't possible in some cases – or just go grab my laptop instead. Nine times out of ten, I just went for the latter, because who has time to not only look for a new application, but learn to use it too? Let's say I need to watermark an image – that's a snap on my Windows PC, because our own kickass Ron Amadeo made a simple tool that adds an AP watermark to Windows' right-click menu. I can easily do several photos at once this way – something that would take much, much longer on the Pixel. Of course, I realize that is a very niche example, but the bigger picture here should shine through: think about everything you do on the computer. Now eliminate the proprietary stuff. Can you still function, or are you willing to find a web-based alternative? If so, a Chromebook would probably be great for you. Unless, of course, you don't even realize all the stuff you actually use until it's not there when you need it. That happened to me on several occasions while using the Pixel. And that in itself is the inherent problem with the Pixel. Initially, I thought "you know, I could probably move to a browser-based OS pretty easily." But then I actually tried it. The second I went to take a screenshot, I missed Screenspresso (note: ChromeOS has a built-in screenshot tool that lets you shoot either the entire screen or just a selection, it's just not as fast or versatile as Screenspresso). When I needed to watermark an image, I wanted the AP tool. The web-based client for HipChat – which we use for AP team chat – isn't nearly as good as the desktop version. When I needed to grab a file from Dropbox, the web interface was what I had to work with. I missed the system that I have set up on my Windows-based PCs; my workflow was garbage on the Pixel. Again, I realize how very subjective this is – but just because you may not use the same software I do doesn't mean you won't have similar problems. In fact, you should probably count on it. With all that said, if access to a Windows machine is absolutely clutch in your laptop usage, Chrome Remote Desktop is a wonderful tool for the job. 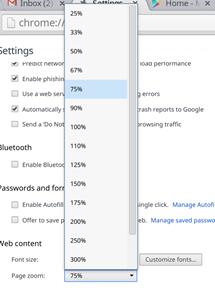 However, I don't consider it practical to buy a Chromebook and spend a vast amount of time using remote desktop to access a Windows machine – if you're going to spend $1300+ on this laptop with the intention of using remote access 60+ percent of the time, you'd probably be better off just buying a dedicated Windows machine. One of my biggest peeves when I first started using the Pixel was the way windows scaled. Everything seemed too big for such a high-res display, and it didn't display enough content on-screen at one time. For example, on my laptop – which has a 1600x900 display resolution – TweetDeck displays five columns when maximized. On the Pixel, it only showed four. This is in large part due to the fact that it uses pixel doubling (or quadrupling), which makes everything on the display super-sharp. But, as such, it also takes away from the usable space that you may expect a 2560x1700 display to provide. There's no denying that it's set up this way because of the small (12.85") display and odd aspect ratio (3:2), but it still bugged me. After digging through the menus, however, I found an option to essentially zoom the entire OS (this is present in the browser version of Chrome as well), which remedied my previous quandary. However, it just feels weird. It gives pre-defined levels of page zoom, from 25% up to 500%. However, if I want to select my own level – say, 80% – that's not possible. I have to go with 90% or 75%, the former of which is still too "big" and the latter makes everything too small. It's still usable, but just barely. Eighty percent would be perfect. The zooming effect also doesn't affect the tabs, navigation bar, or other UI elements. So, the change only seems to happen throughout all windows and menus. Basically, it's a fix, but it just kind of feels like a dirty hack. Still, if you don't multi-task a lot or need to see multiple windows at one time, the stock setting would probably be fine. 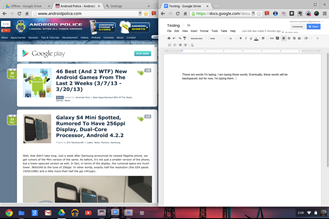 Left: Windows scaled at 100%; Right: Windows scaled at 75% – Smaller text, but far more usable space. Still kinda wonky. Still, I want to love the Pixel. And in many ways, I do. I love it very, very much. But I really have to ask myself "would I ever spend this much money on a secondary machine (because, let's be honest – there will be a need for a full OS for at least the near future)?" And the short answer is: hell no. There's no way I, personally, will spend $1300+ on a laptop that won't even become my primary portable computer. It's just not happening. But what about you, the user who lives in the cloud, works in the browser, and could live the rest of his or her life without touching proprietary software again? For you, I say the Pixel is the closest thing you're going to get to perfect. If Chrome is your browser, Google Docs your office, Drive your cloud storage, and you don't anticipate needing anything more, then by all means – buy a Pixel. You'll love every second you get to spend with it. You should, anyway. You may find that it meets your needs perfectly. And if that's the case, that's fantastic (and I may just be a little bit jealous), because it really is an amazing piece of hardware. So much that I wish I could do everything I need from a browser or a browser-based tool. Given a long enough timeline, I think that's possible – but it would take a lot of digging in the Chrome Store, testing out various software, and lots of trial and error. In the long run, it could be worth all the trouble. 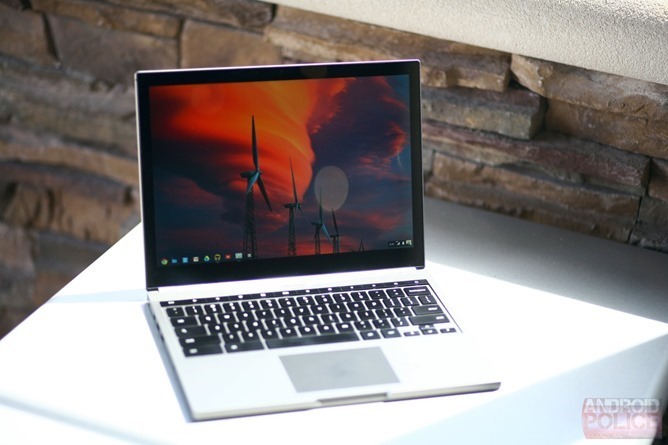 Of course, there will always be limitations with an OS like ChromeOS. That's not to say there aren't limitations in Windows, OSX, and Linux as well, so it's all about picking your battles. Which brings me to the thing I like most about ChromeOS – or at least the idea behind it. Theoretically, it could bring an end to the aforementioned limitations on all platforms given enough time and developer support. Instead of wishing product X were available for platform Y, everything could be web-driven. Photoshop in the cloud? Yes, please. Music recording software like Ableton Live running inside the browser? Bring it on. 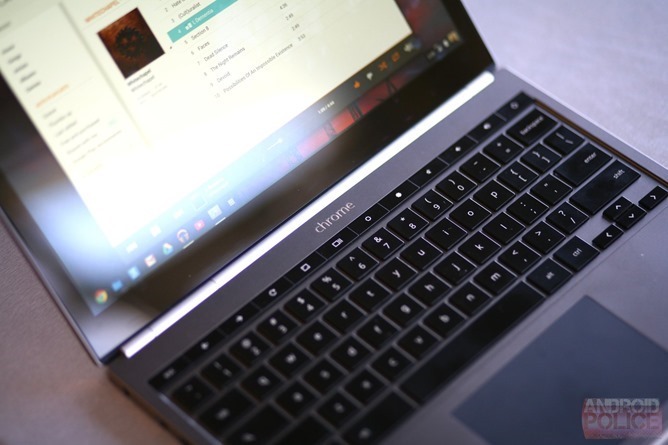 If, and this is a major if, ChromeOS were to suddenly catch the attention of the consumer market, the dream future I just laid out could become a reality (again, on a long enough timeline). And that's the Pixel's purpose. That's the reason Google crafted such a beautiful machine. To let the world know there's another option, because $250 Chromebooks don't attract everyone. Those who want high-end hardware shy away from cheap laptops like Lindsay Lohan from rehab. Because most people don't want garbage – or anything they perceive as such. The Pixel is an attempt to make ChromeOS a legitimate option for everyone, even those who seek high-end hardware. And in that regard, it succeeds. Ultimately, I've really enjoyed my time with the Pixel, and I'll actually miss it when it goes back to Google. Will I miss it enough to shell out the cash to get one for myself? No. If I were going to spend $1300-1400 on a new laptop, I would get the newest Series 7 Chronos to replace my existing laptop. Why? Because a Chromebook simply isn't practical for me. If it were though, this is the one I would buy. I'd like to give a shout-out to my good friend Chris Ford for helping me out with the images in this post.